The EZ bar is a variation of the standard barbell and contains some specifically positioned kinks and bends which are intended to allow for a more neutral grip on the bar, taking a lot of strain off your wrists and forearms when performing exercises such as EZ bar bicep curls. 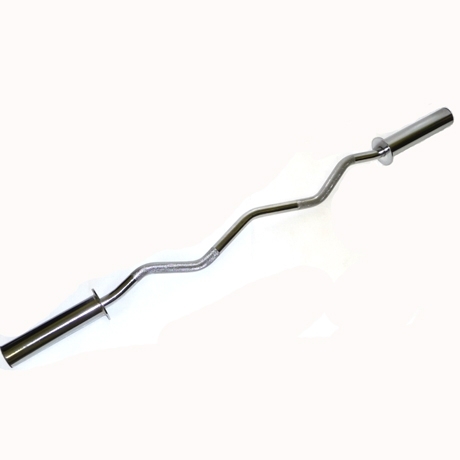 Virtually any exercise that you can do with the standard bar, you can do with an EZ curl bar. There are, however a few exercises that this bar is very good for. The EZ bar bicep curl, the lying / seated french press and the upright row are all great exercises where this bar is ideally suited.